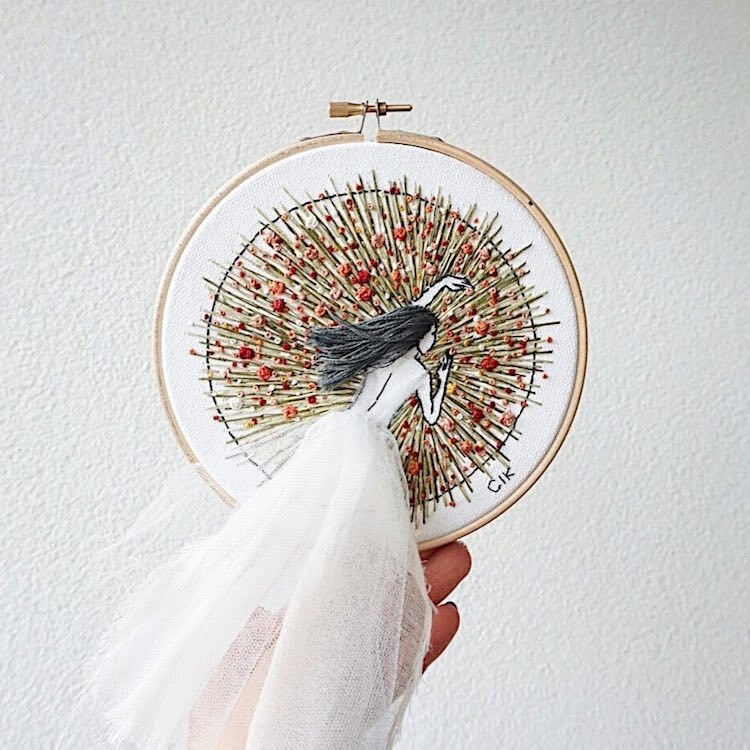 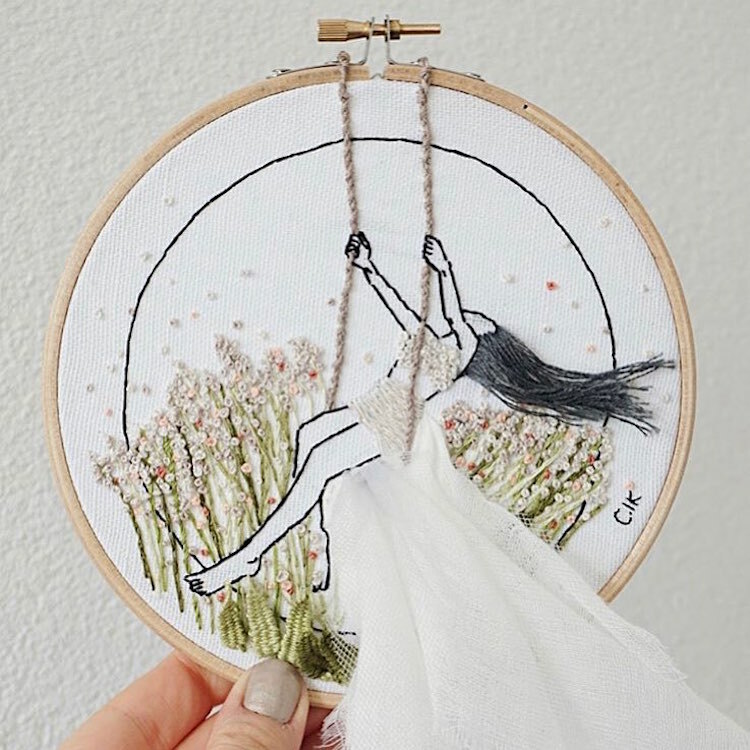 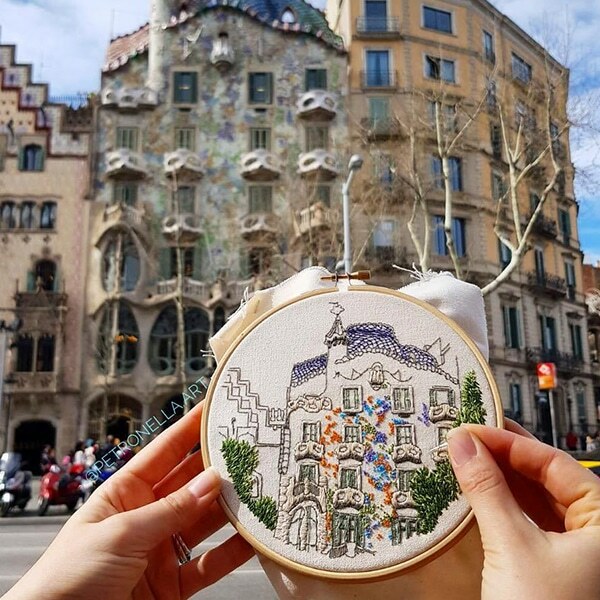 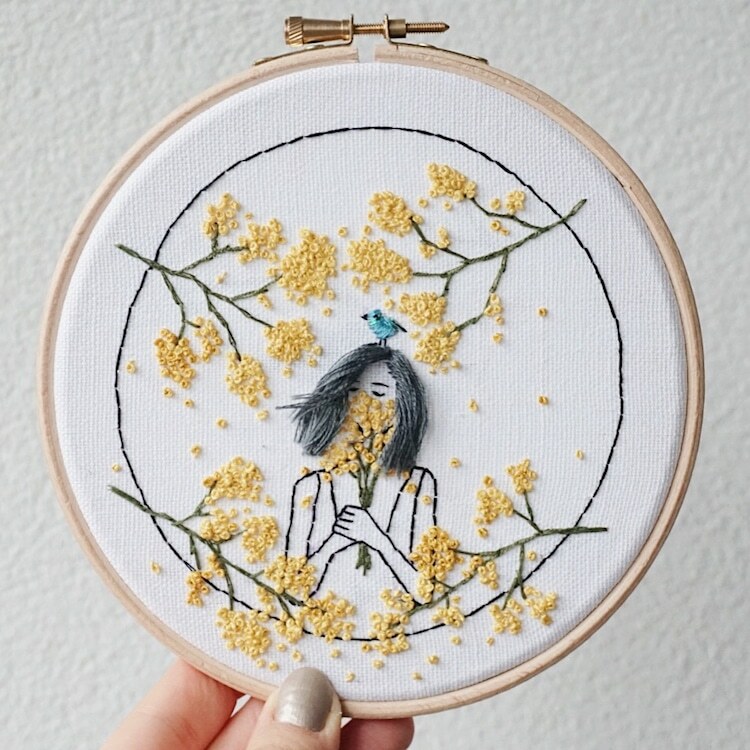 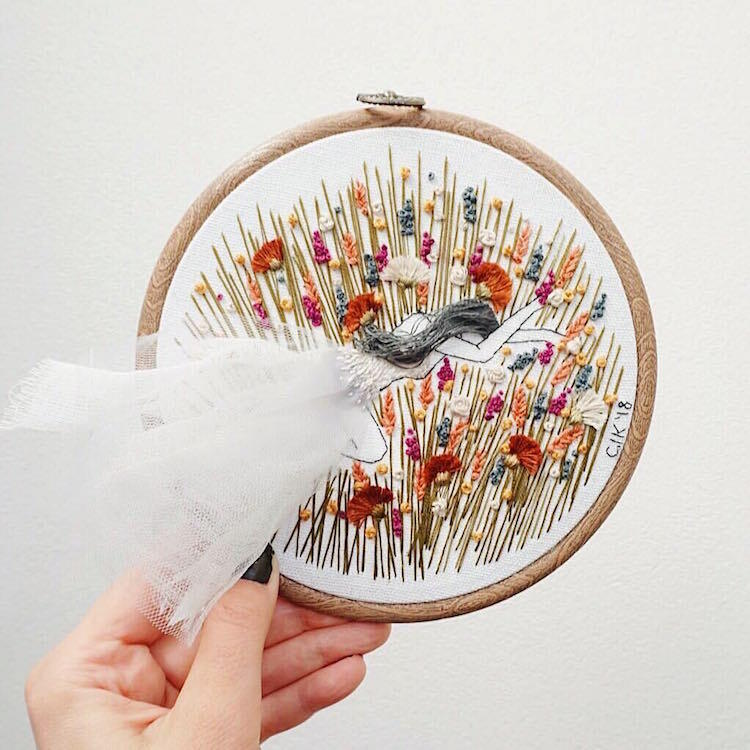 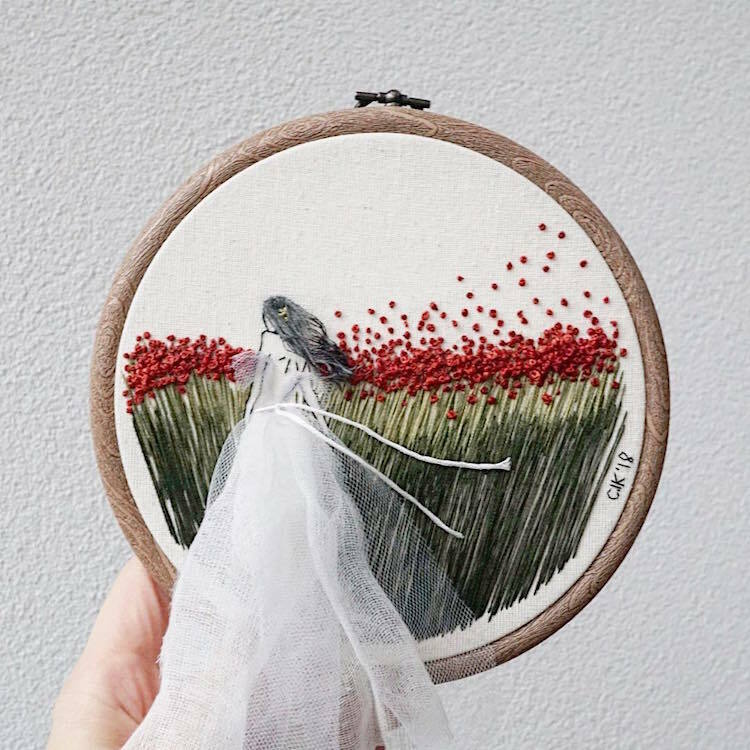 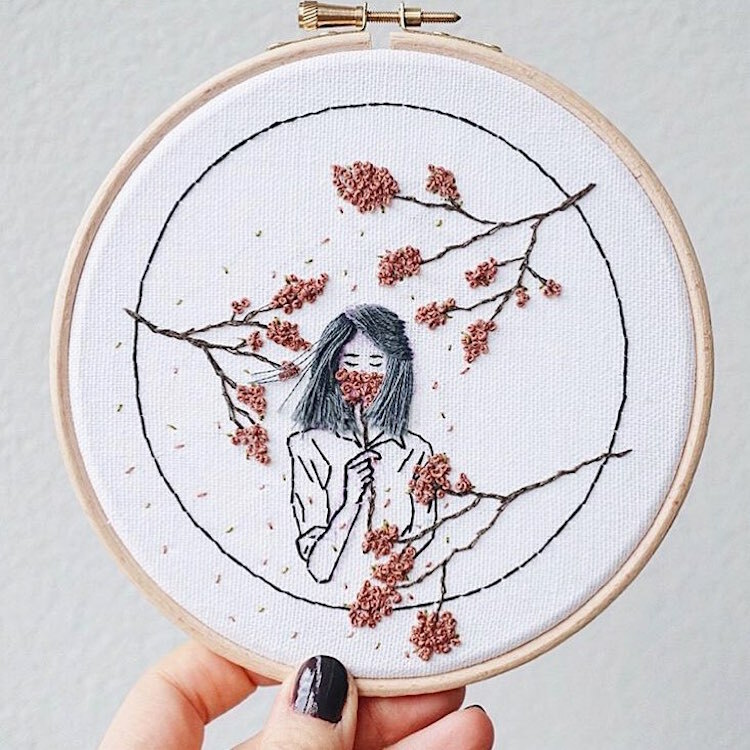 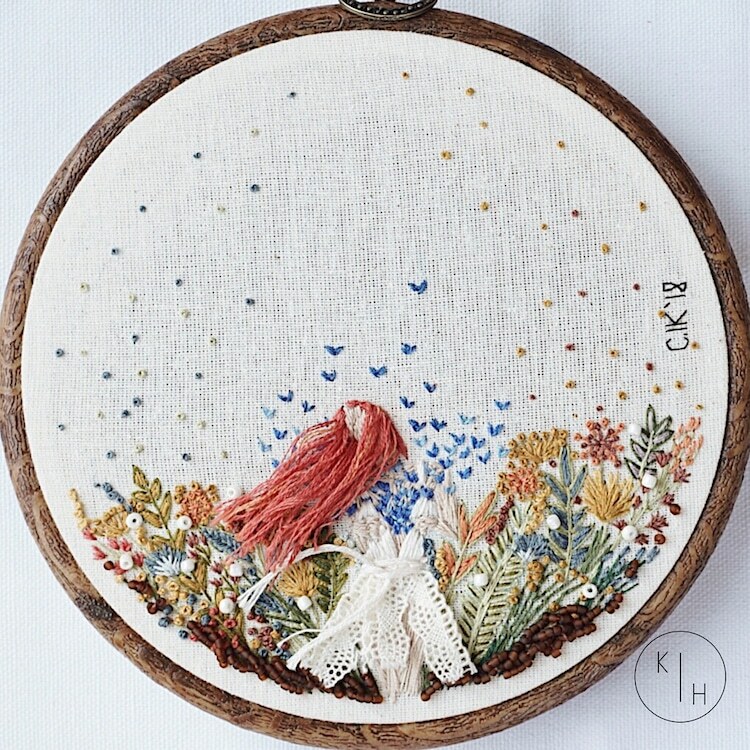 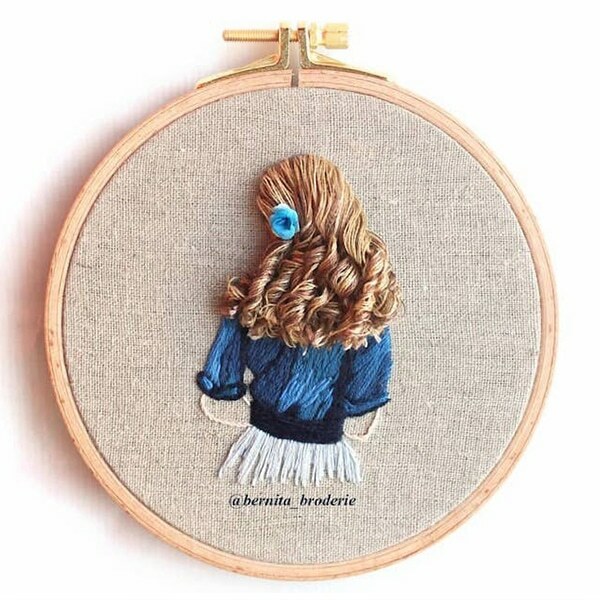 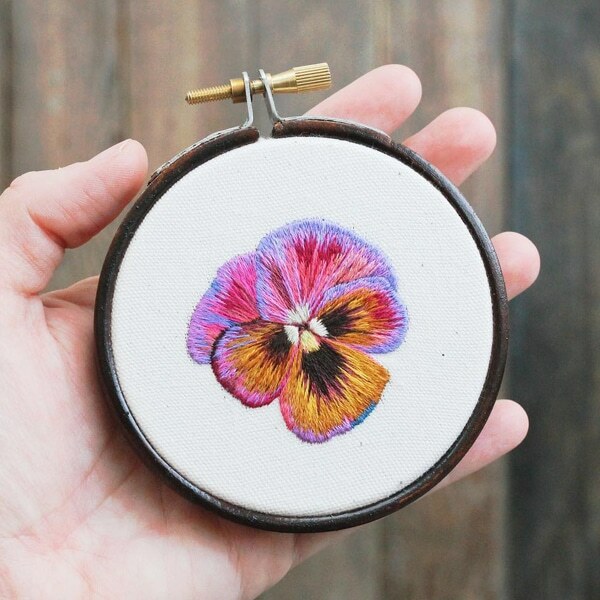 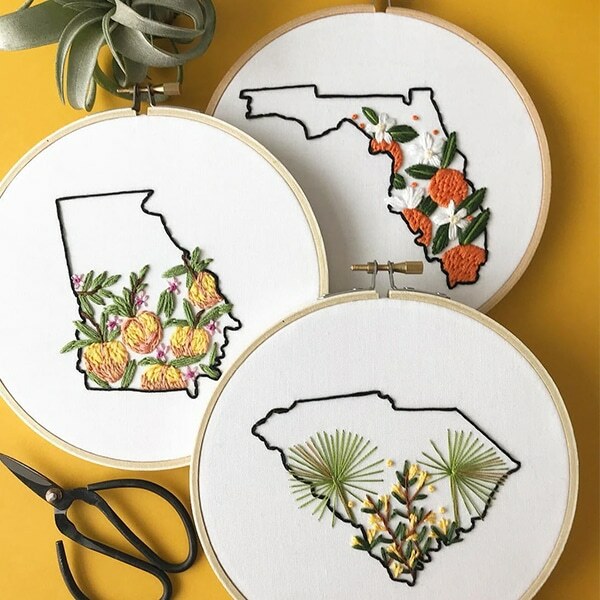 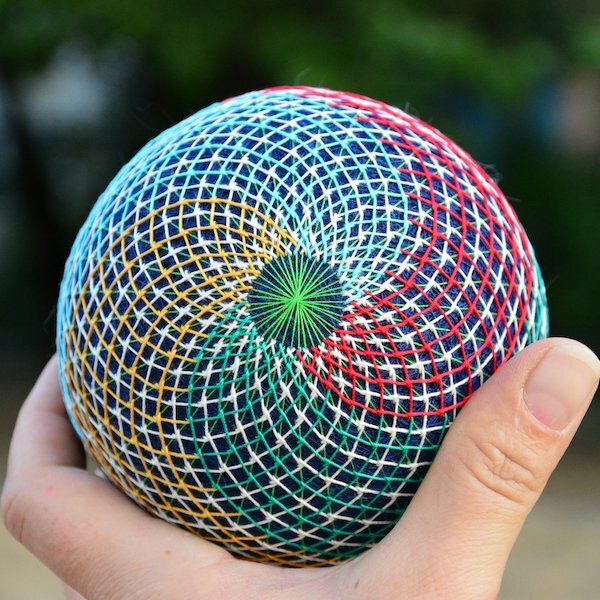 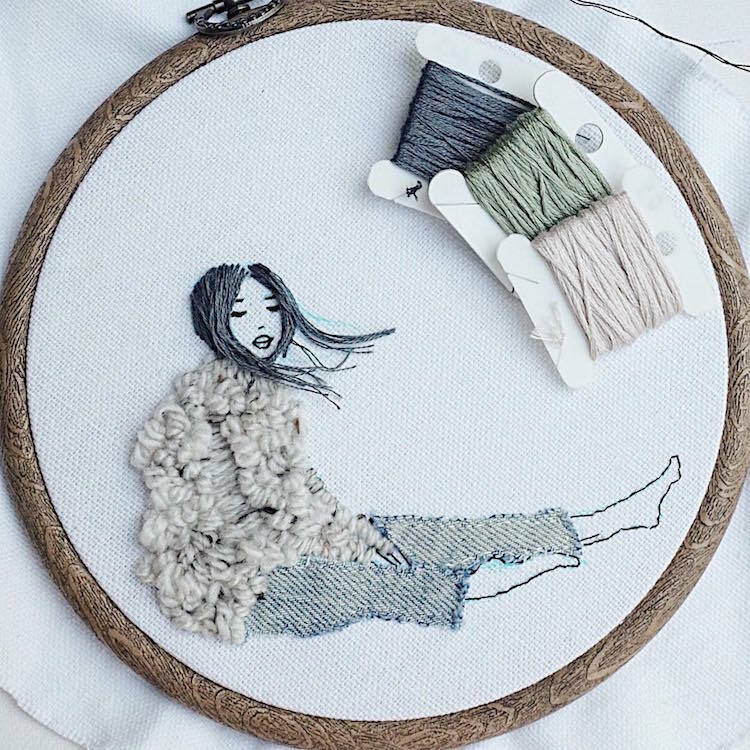 We’ve seen many experimental embroidery techniques lately, but Dutch fiber artist Ceren (aka Kayra Handmade) takes the popular craft a step further by thinking outside of the conventional embroidery hoop. 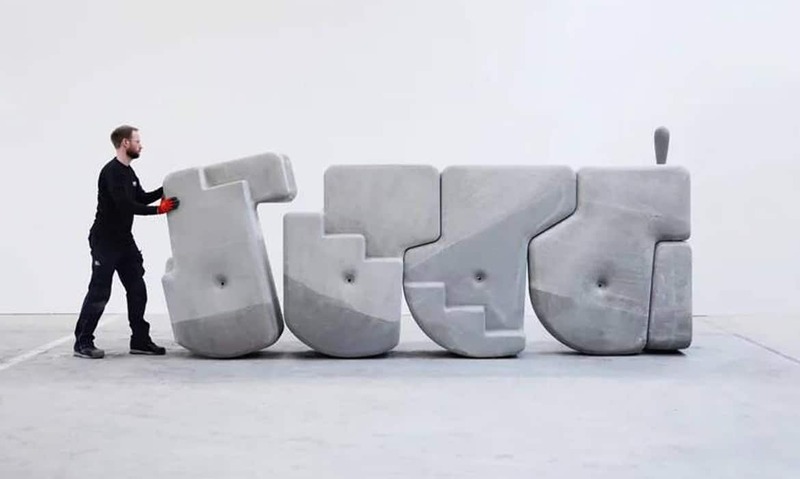 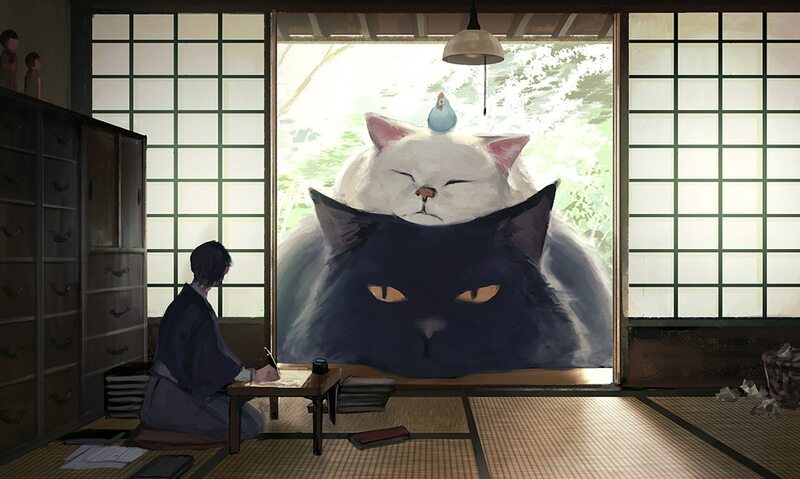 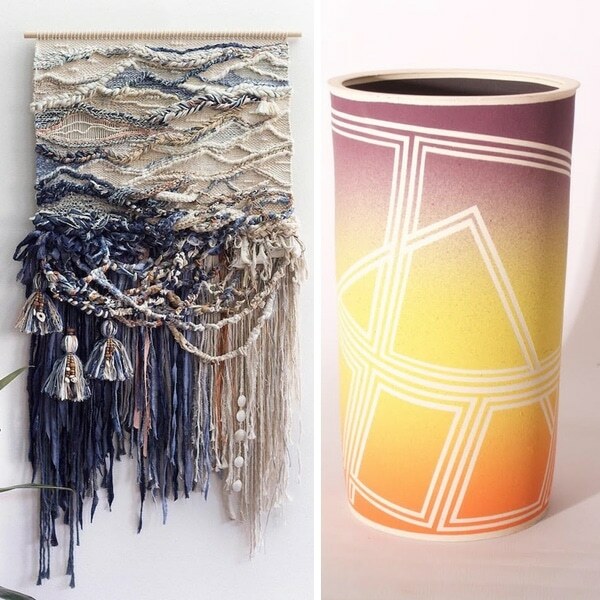 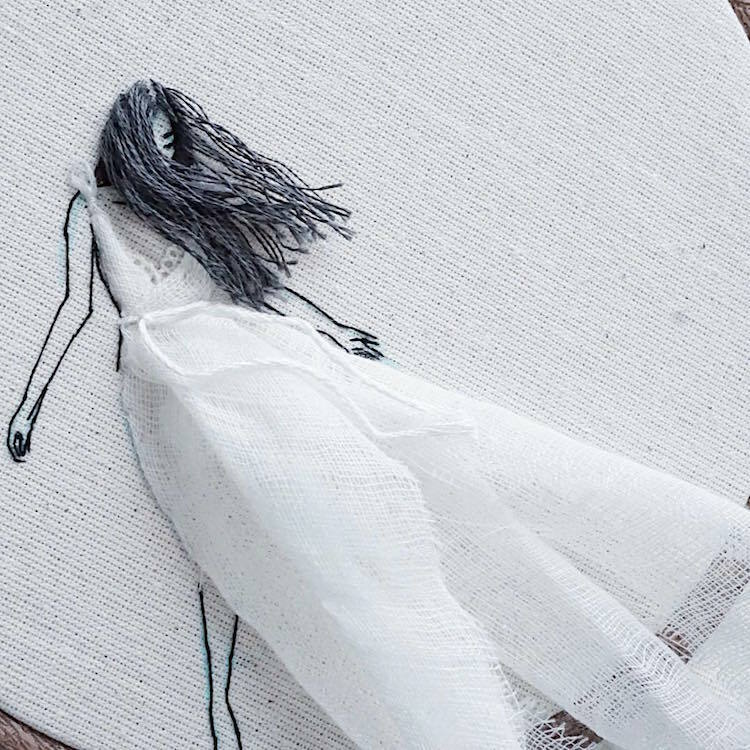 Favoring female subjects, her ethereal designs feature three dimensional elements, such as flowing hair and fabric, that cascade from the textile canvas. 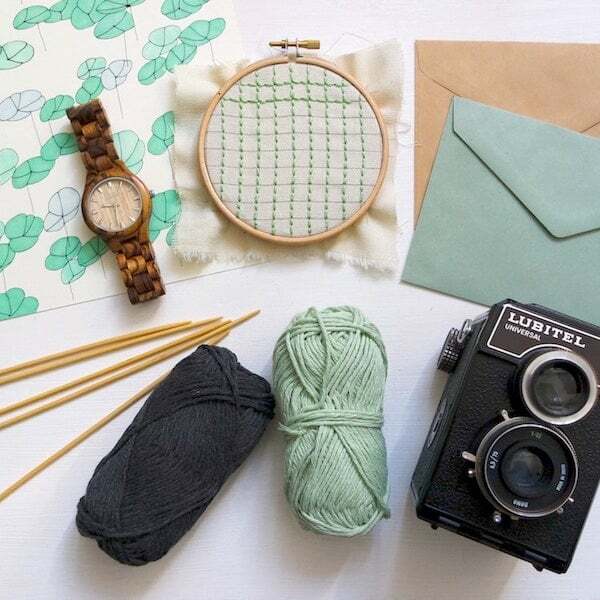 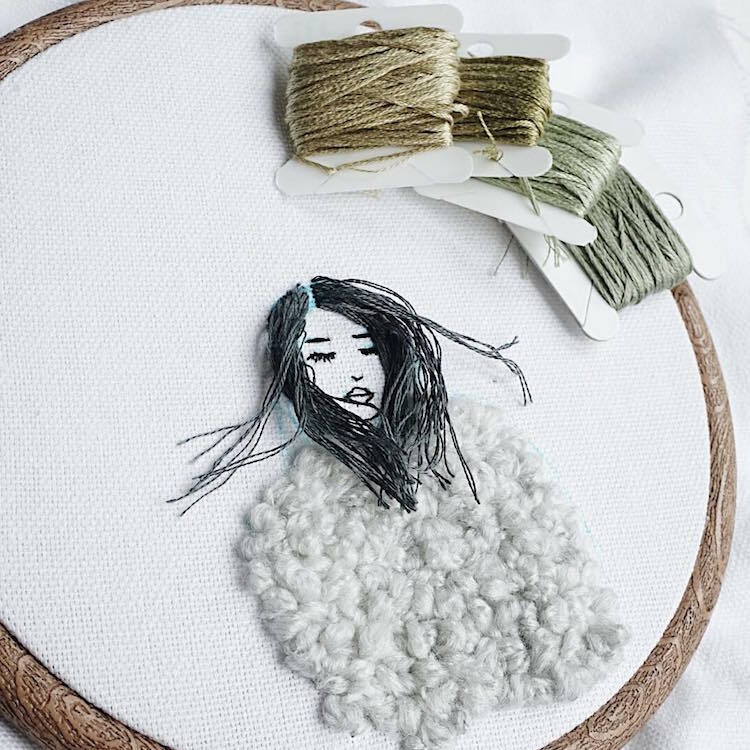 Each piece is made by hand, using cotton threads, delicate fabric, and beads stitched on raw cotton fabric. 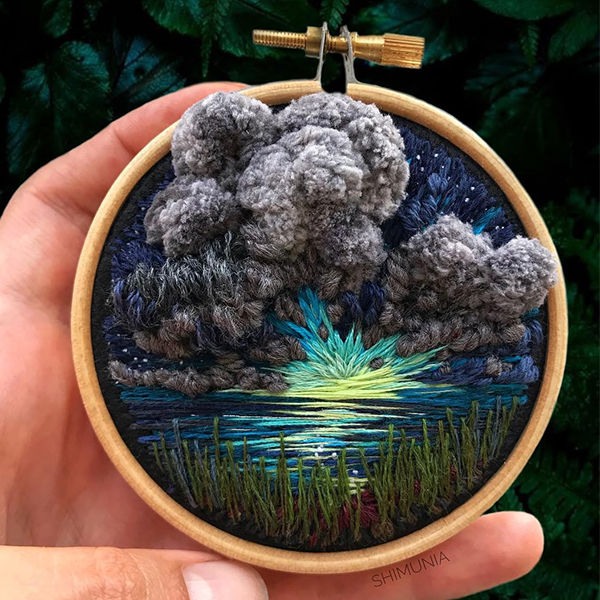 While Ceren’s illustrative subjects are mostly rendered in black thread outlines, they’re often depicted among colorful, nature-inspired scenes. 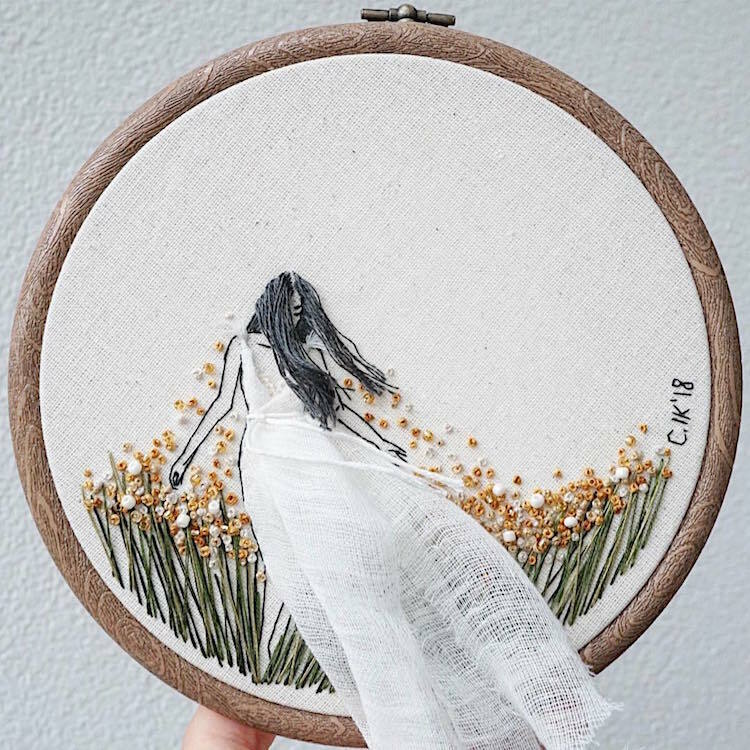 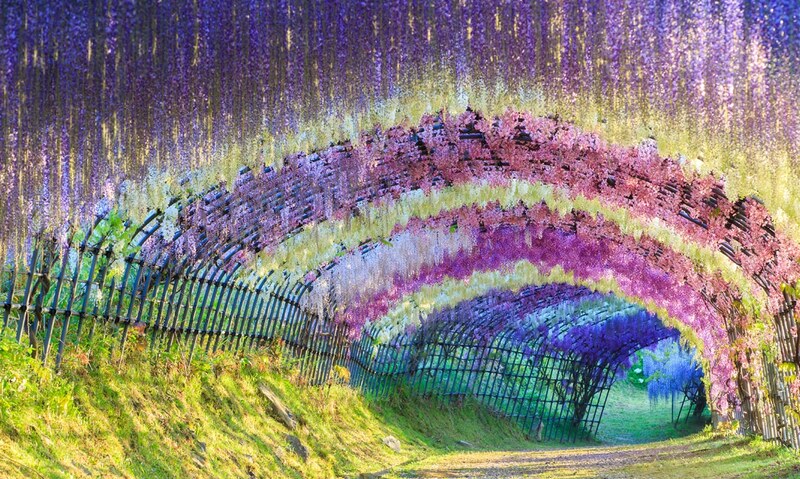 One design shows a woman running through a meadow of wild flowers while her 3D dress and textile hair flows behind her. 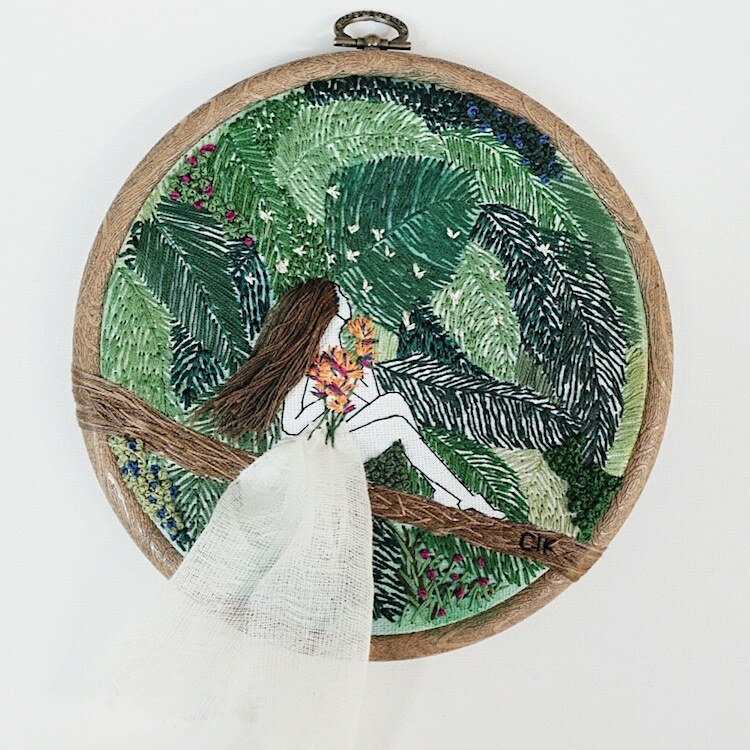 In another, a female figure sits among a lush green jungle, while her hair—made from long strands of brown embroidery thread—grows out from the otherwise 2D scene. 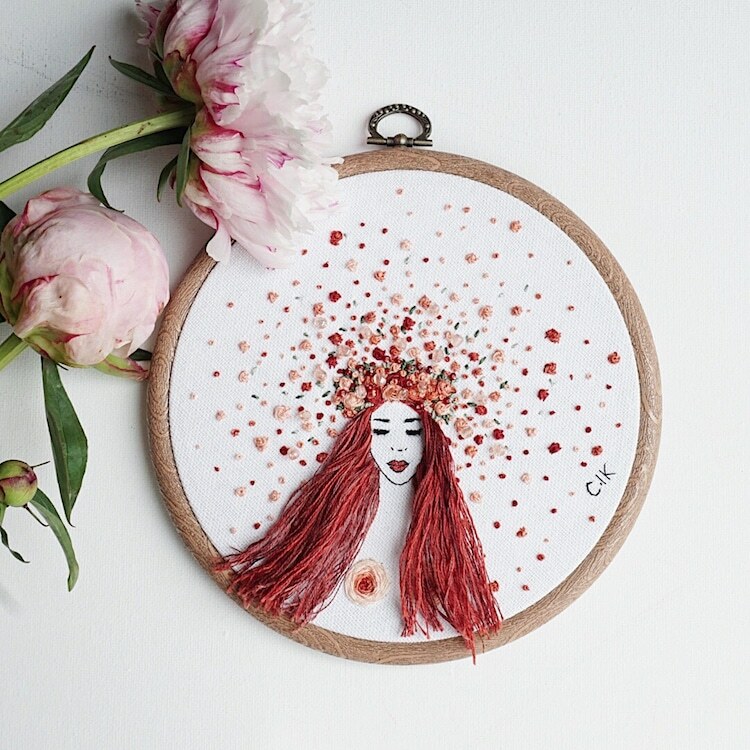 Each piece beautifully depicts those carefree summer days spent exploring what Mother Nature has to offer. 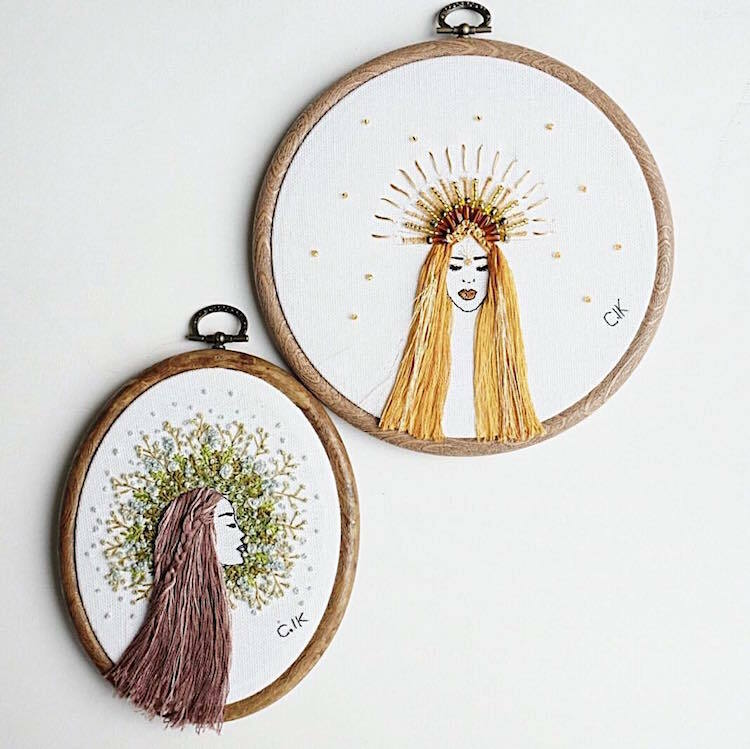 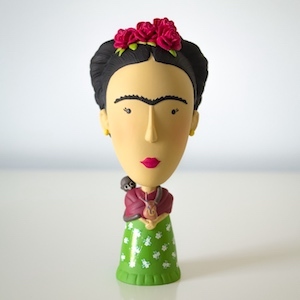 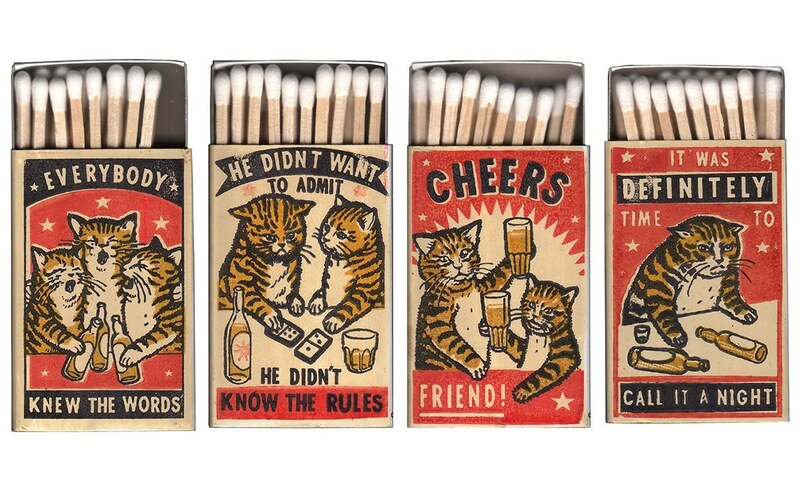 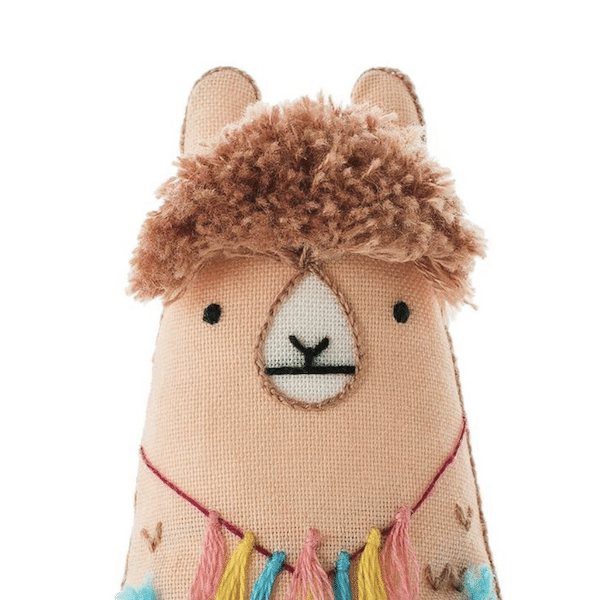 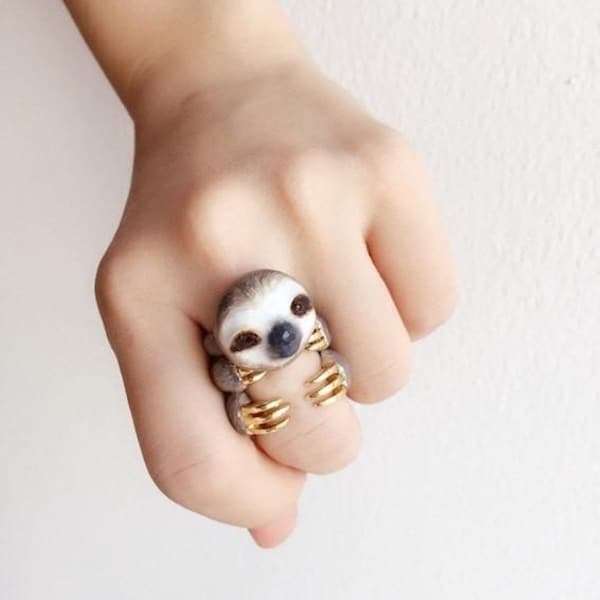 You can see more of Ceren’s work on Instagram and buy her designs on Etsy. 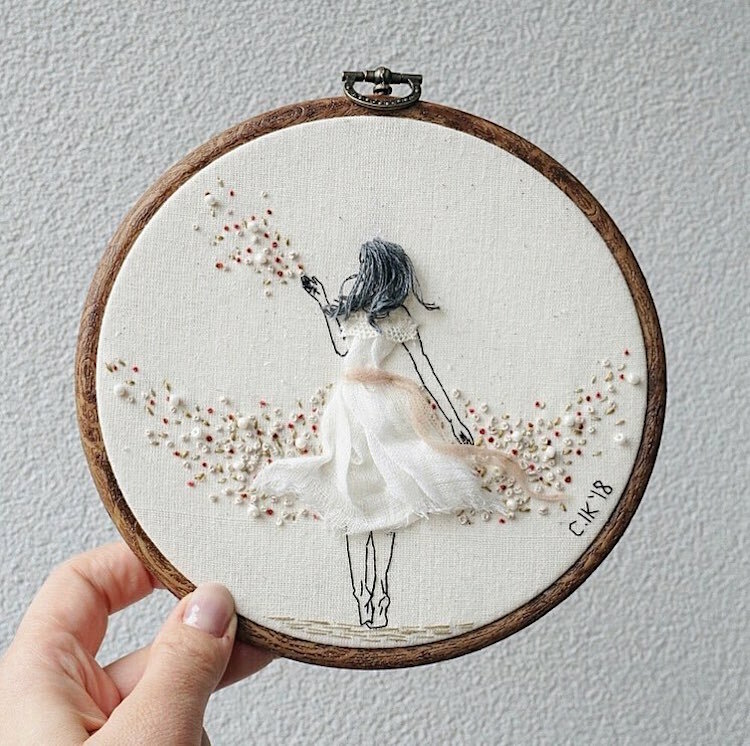 Dutch fiber artist Ceren (aka Kayra Handmade) creates ethereal embroidery designs featuring three dimensional elements. 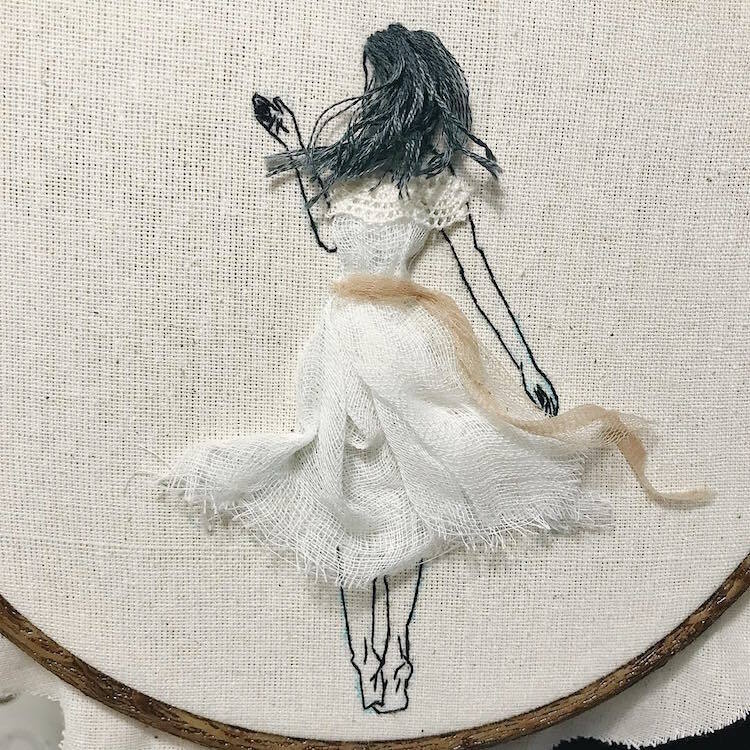 Favoring female subjects, their flowing hair and dress fabric cascade from the textile canvas. 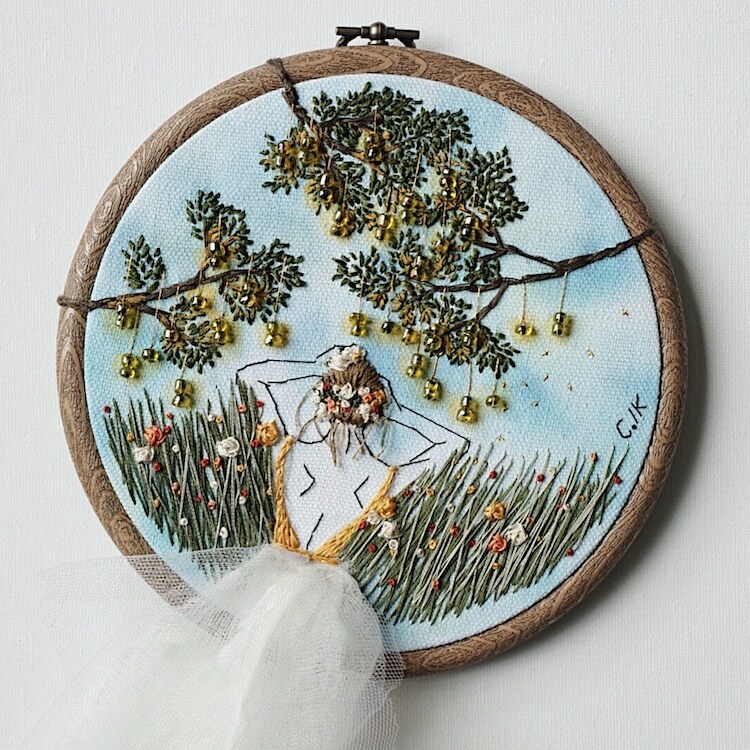 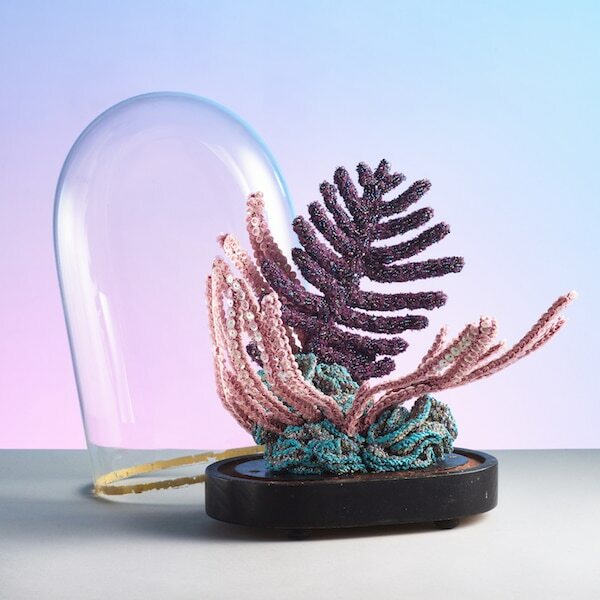 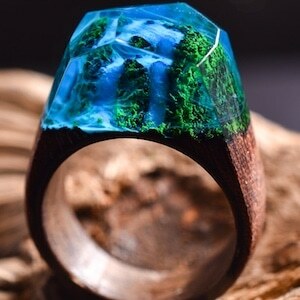 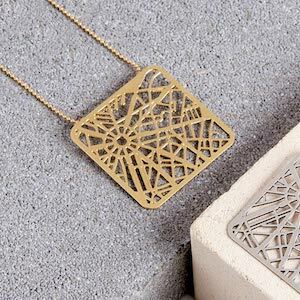 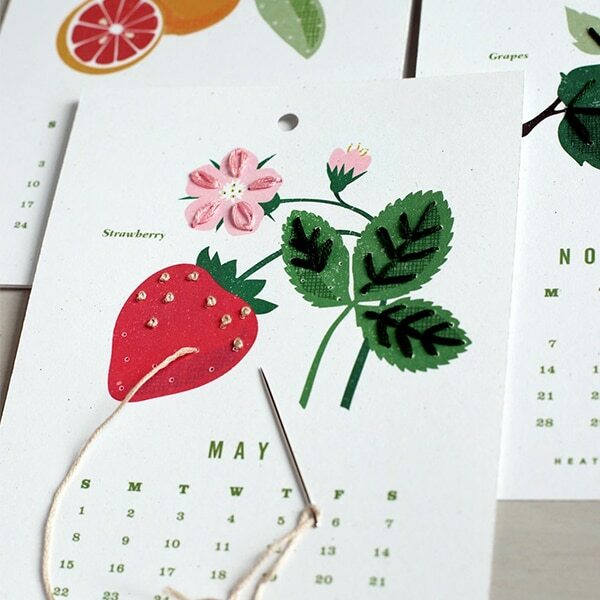 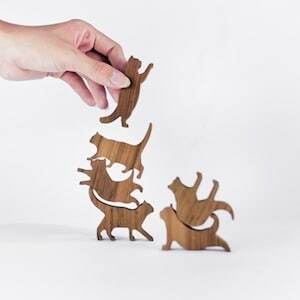 Each handmade piece beautifully depicts those carefree summer days spent exploring nature. 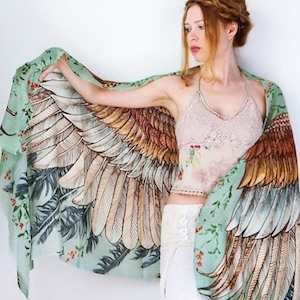 My Modern Met granted permission to use photos by Ceren / Kayra Handmade.